Spend the night on campus right in the heart of Oklahoma State University. 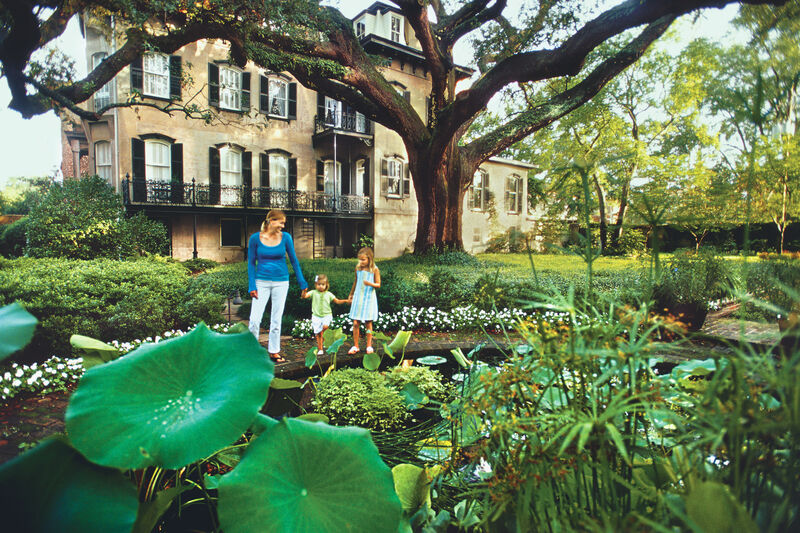 The Atherton Hotel offers guests a boutique lodging experience. The bright and airy rooms at The Atherton include subtle touches of orange and black, the school's colors. Visit Stillwater, Oklahoma's Atherton Hotel, and you'll feel as spry as a freshman on the first day of class. "We occasionally have travelers who walk in here with scowls on their faces," says general manager Jim Barnard. "They've been on the road a long time, or they've lost their luggage. They're just upset about something." In these cases, Jim offers simple advice: "I tell them, ‘Park your bags, throw some water on your face, and walk around campus for a little while.' You would be amazed at how they all come back rejuvenated." Rejuvenation is the order of the day around here considering that the last major face-lift of this 1950s property took place in the mid-1980s. It had begun to get a little tired itself, but that changed dramatically with its $6-million renovation in 2002. Upon check-in, you'll be greeted by young faces, eager to be at your service. The hotel is an extension of OSU's School of Hotel and Restaurant Administration, a teaching laboratory for students working through the program. A full-time manager is always on duty, but for the most part, you'll be ushered through your stay by a student. Without a doubt, the focal point in each of the hotel's 81 rooms is the luxurious and fluffy bed. Once you've hopped a little to get on it (no kidding, each is tall because of all the bedding), you won't lie down as much as you'll sink into it. You're sure to stay snug beneath the down comforter and 400-thread count sheets. The luxury extends to the amenities, including robes, a DVD player, and high-speed Internet access. One thing to be aware of is that some of the rooms are small and have tight turnarounds. The Atherton also offers lunch Monday through Friday and dinner Thursday through Saturday at its restaurant, The Ranchers Club, which just opened in October. This, too, is a teaching laboratory managed and operated by students. The upscale steak house's menu, created by executive chef Ben Coffin, offers steaks, burgers, and pork tenderloin among its entrées (prices range $7-$15 lunch, $20-$40 dinner). Before you leave, try Pistol Pete's Pecan Ball ($3), which is vanilla ice cream rolled in pecans and covered in fudge sauce. It's a tradition as old as the hotel itself. Even if you don't do anything else during your stay, you must take Jim up on his advice. It's true--there's a contagious, revitalizing energy that floats through campus. 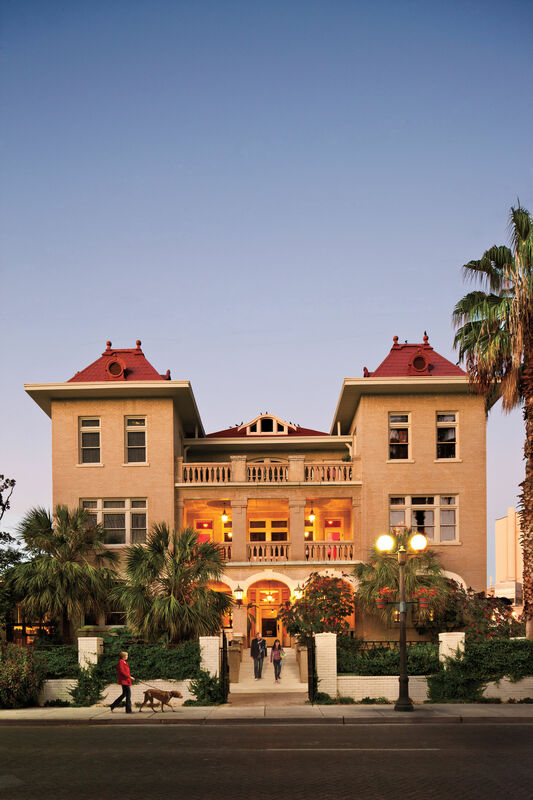 "Stillwater's Historic Hotel" is from the November 2005 issue of Southern Living. Because prices, dates, and other specifics are subject to change, please check all information to make sure it's still current before making your travel plans.